Luka joined Bruce Caldwell for an interview and some live music in the studio. John Murray spends the day with singer-songwriter Luka Bloom who shows him around North Clare and meets some of those making music in the area. 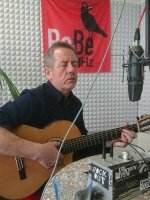 "One of my favourite words in any language is 'gezellig'"
Luka Bloom joined us this afternoon for our Home Run Session with Donal Mahon ahead of his Roisin Dubh gig this Friday 7th October. On this week's podcast, Luka Bloom joins Róisín Ingle to talk about his latest album Frugalisto which he takes on the road later this year. He also performs three songs live with some special-guest vocals by Róisín on the track Sunny Sailor Boy. Luka Bloom joined Marian in studio for a song and a chat ahead of his appearance next weekend at Scariff Harbour Festival. 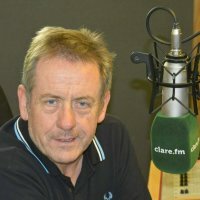 Musician and Songwriter Luka Bloom, originally form Newbridge County Kildare joined Miriam in studio.... Luka is a huge fan of St Brigid’s day and played us a song about coming out from the darkness into the light as we leave the winter months into the brighter evenings of the spring and summer. Singer, Songwriter and proud Clare resident Luka Bloom has been touring Cafes this September and has also launched a book of songs and photographs entitled HOMEPLACE. He recently joined John Cooke to lend his support to Ireland's Biggest Coffee Morning for the Hospice, sing a few songs and talk about life in Liscannor. Luka Bloom has been on our radio playlist for decades. He writes sweet and meaningful songs, delivering them in a gentle croon. He loves Australia and returns here regularly. Last time he was here, he opened for the Dalai Lama - an experience which lead him to write the songs on his new album. Luka's performing at Wrest Point in Hobart on Friday 22nd March. But he gave us a little preview. He stopped into our Sydney studios to chat with Leon Compton and play the song 'Heart Man'. Luka Bloom introduces and sings his song 'The Fertile Rock' at the opening of the Learning Lanscape symposium in the Burren College of Art in Ballyvaughan. He's covered everyone from LL Cool J to Abba and Bob Marley... and in the process he's managed to turn some of the most unexpected tunes into beautiful folk songs. 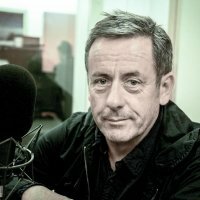 Luka Bloom is one of Ireland's great folk singer/songwriters. He's had an inspired life which has taken him from Ireland to New York - and on to perform all around the world.